Jezebel story of abortion scam: Fraud is the result of abortion stigma. 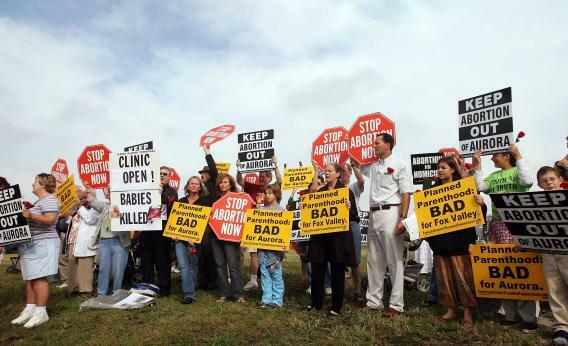 When women seeking abortions face this kind of crowd, no wonder they feel shame. But actually reading this story, it quickly becomes clear that, while Jezebel no doubt hoped to use the interest in Akin’s urban legend to get more traffic, the scam recounted by Anna Qu has nothing to do with Akin’s allegations. Indeed, as Qu originally posted her piece at XOJane a mere few hours after we originally broke the Akin news, it’s unlikely she was thinking about Todd Akin when writing it at all. Qu’s story is important, as it highlights one of the many nasty results of the stigmatization of abortion. Qu was pregnant, wanted an abortion, and did manage to have one, but getting from A to B meant paying excessive fees and, apparently, being exploited for insurance fraud. Right away, red flags are raised as the clinician tells Qu that if she doesn’t get an abortion pill that very day, she’ll be required to fork over an extra $250 on top of the $550 for the pill if she comes back for it later. Qu takes the pill, and it doesn’t completely work to abort the fetus, so she ends up paying more fees for follow-up visits and for a surgical procedure to get what the pill didn’t. When she demands an itemized receipt so that she can be reimbursed by her insurance company and the clinic refuses to provide it for her, she realizes that the clinic intends to double-charge—getting her to pay for the surgical procedure and then getting the insurance company to pay them directly for it as well. In the end, the clinic manages to squeeze her for more than $1,600 and tries to get the insurance company for $3,100 more. She reports them to the Better Business Bureau. Qu doesn’t seem to realize it, but the pro-choice movement is actually quite aware of the kind of ordeal she went through and that women seeking abortions can be prey simply because unethical doctors know that patients will be too ashamed of getting abortions to stand up for themselves or report fraud. Indeed, one of the reasons pro-choicers push back so hard against the stigma of abortion is so patients know that they can demand better standards of care. The National Abortion Federation was established in large part to combat this problem and point patients to quality providers that meet their guidelines. Unsurprisingly, the clinic that Qu went to is not on the list of New York-area clinics that NAF recommends. Anyone seeking an abortion should consult with NAF’s database and follow the guidelines set out by the National Network of Abortion Funds for finding a reputable clinic. When in doubt, Planned Parenthood is always a good go-to establishment. Contrary to the heated accusations flying from the anti-choice movement, the nonprofit excels in keeping things transparent and straightforward for patients, and as they are a nonprofit, they make it their mission to offer their services as inexpensively as possible. Qu is right about the larger problem: “When it’s piggybacking on the taboo and guilt already present in the horrific situation, women are less likely to protest unfair treatment or question medical costs; their hearts are in their throats and all they want is to have a choice.” The hard work of NAF, NNAF, and Planned Parenthood can only go so far. As long as women out there don’t feel they deserve better abortion care or think they have reason to feel shame, unethical providers will be around to take advantage of them.